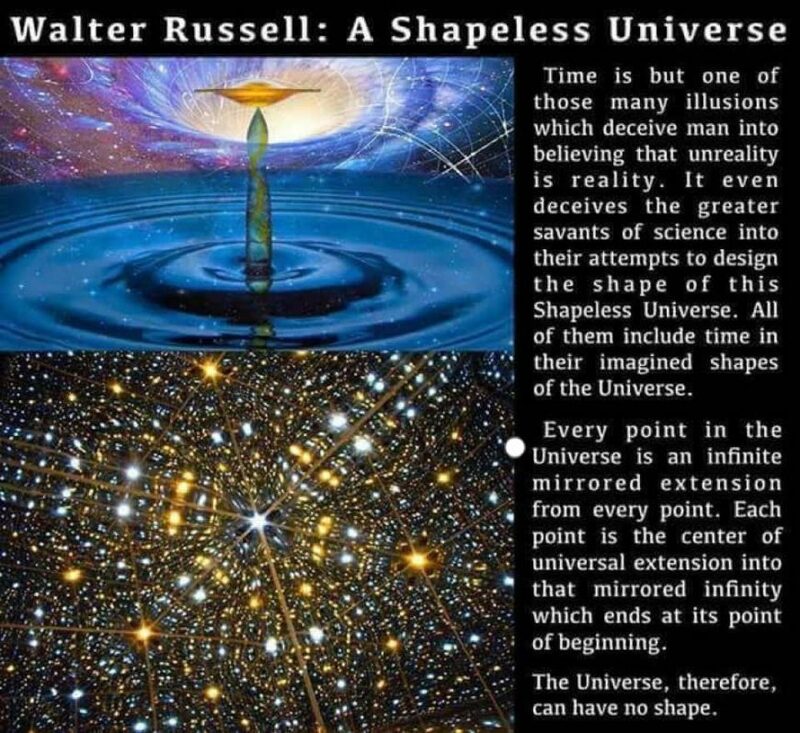 Time is only an illusion produced by the succession of our states of consciousness as we travel through eternal duration, and it does not exist where no consciousness exists in which the illusion can be produced ; but “ lies asleep.” The present is only a mathematical line which divides that part of eternal duration which we call the future, from that part which we call the past. Nothing on earth has real duration, for nothing remains without change—or the same—for the billionth part of a second ; and the sensation we have of the actuality of the division of “ time ” known as the present, comes from the blurring of that momentary glimpse, or succession of glimpses, of things that our senses give us, as those things pass from the region of ideals which we call the future, to the region of memories that we name the past. In the same way we experience a sensation of duration in the case of the instantaneous electric spark, by reason of the blurred and continuing impression on the retina. The real person or thing does not consist solely of what is seen at any particular moment, but is composed of the sum of all its various and changing conditions from its appearance in the material form to its disappearance from the earth. It is these “ sum- totals” that exist from eternity in the “future,” and pass by degrees through matter, to exist for eternity in the “ past.” No one could say that a bar of metal dropped into the sea came into existence as it left the air, and ceased to exist as it entered the water, and that the bar itself consisted only of that cross-section thereof which at any given moment coincided with the mathematical plane that separates, and, at the same time, joins, the atmosphere and the ocean. Even so of persons and things, which, dropping out of the to-be into the has-been, out of the future into the past—present momentarily to our senses a cross- section, as it were, of their total selves, as they pass through time and space (as matter) on their way from one eternity to another : and these two constitute that “duration” in which alone anything has true existence, were our senses but able to cognize it there.